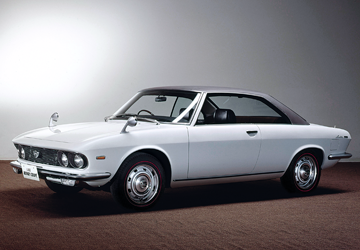 Mazda’s rotary engine debuted in the Cosmo Sport in 1967, rewriting automotive history in the process. 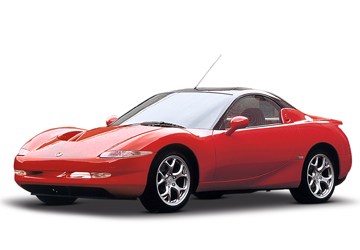 Without the rotary engine, there would probably be no Mazda. And without Mazda, the rotary engine certainly wouldn’t have been in production for nearly 50 years. 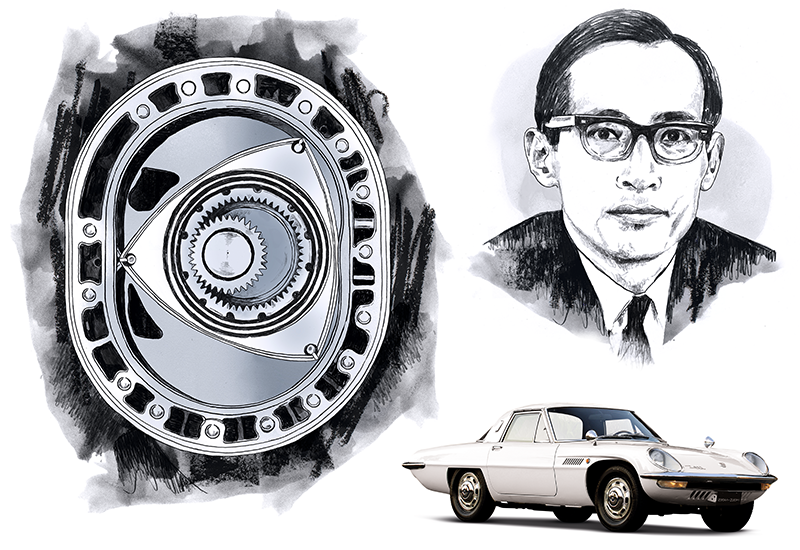 It was Mazda’s engineers who took Felix Wankel’s unique engine design concept to fruition, and commercial success, five decades ago this year. A rotary engine is smaller and lighter than a conventional piston engine, with a superior power-to-weight ratio. As it has no reciprocating parts — just a three-sided rotor spinning in a housing — it is quieter and smoother as well. The rotary also offers outstanding performance for a given displacement. This was a big carrot to a company full of car enthusiasts. 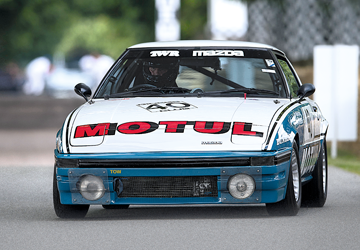 Mazda also embraced the rotary in order to be different, a ‘defy convention’ philosophy that continues to this day. In the 1950s and 1960s, Japan’s Ministry of International Trade and Industry, the architect of the country’s post-war industrial policy, was trying to make its nascent automotive sector globally competitive. It wanted to streamline the number of carmakers, reasoning that bigger manufacturers would be more likely to compete with US and European heavyweights. Smaller automotive manufacturers such as Mazda were vulnerable to a forced merger. But a ‘think different’ carmaker, pioneering a bold new type of engine, was much more likely to maintain its independence. Enter the rotary engine: a distinct reason to buy a Mazda — a car that appealed to fans of driving rather than just to those who simply wanted to get from A to B. The highly lauded rotary-powered Cosmo Sport (also known as the 110S) of 1967 not only cemented Mazda’s reputation as a small but highly influential carmaker, but ultimately guaranteed the company a permanent place in the automotive firmament. While other carmakers had tried and failed to make the rotary engine a success, Mazda doggedly refused to let the challenges of this complex engine get in its way. The recurring problem was scratching — nicknamed ‘devil’s claw marks’ — on the inner surface of the engine casing. This was caused by the apex seals on the triangular rotor juddering, instead of sliding smoothly, against the inner casing. This scoring led to poor seal durability, and caused the early demise of rotary proposals from many other automotive manufacturers (see panel at right). Mazda’s engineers, led by Kenichi Yamamoto, eventually not only solved the problem with a graphitealuminium alloy seal, but also cured other drawbacks, such as excessive oil consumption and a lack of low-end torque. At long last, the rotary engine became feasible in real-world ownership, combining reliability with spectacular power for its size. 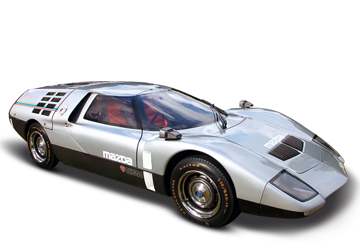 This winning combination led to significant sales success for Mazda in the 1970s. Around 100,000 rotarydriven cars were sold in the US in 1972 alone and the rest of that decade saw half of Mazda’s car production powered by the rotary engine. Featuring beautiful Bertone-designed bodywork and impressive performance, this was Mazda’s only frontwheel drive, rotary-engined car. 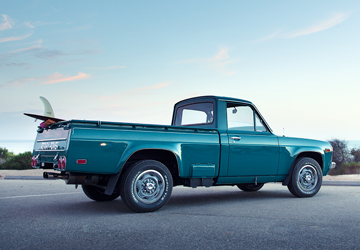 The world’s only rotary-powered pickup truck, the REPU was available solely in the US and Canada and boasted Mazda’s 1.3-litre 13B rotary engine. Fifteen thousand were built — the majority of those in 1974. 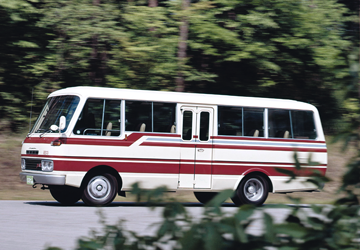 This minibus was built exclusively for the Japanese market and was powered by the 13B rotary engine. The Super Deluxe model could accommodate 13 passengers and the delux model seated 26 people. Penned by current Mazda design boss Ikuo Maeda, the RX-8 looks every inch a concept car made for the road, with its futuristic profile and ‘freestyle’ doors. To prove the reliability of its rotary engine to the world, Mazda entered two 110Ss into this gruelling 84-hour endurance event at Germany’s formidable Nürburgring circuit. One of them took fourth place- an amazing achievement for a new car with a revolutionary new type of engine. Another ‘David v Goliath’ victory for Mazda came at this Australian race when an RX-3, driven by Don Holland and Hiroshi Fushida, took a class win and an amazing fifth outright position, beaten only by significantly more powerful V8 rivals. At this 24-hour endurance race “It’s win or bust!” was British TWR team owner and racer Tom Walkinshaw’s instruction to Belgian co-driver Pierre Dieudonné. Out of 55 cars on the starting grid, only 26 finished and passing the checkered flag first was the Mazda RX-7— the first Japanese car to win here. First shown to the public at the 1970 Tokyo Motor Show, the RX500 was powered by a twin-rotor 10A rotary engine and featured forward-swinging butterfly-wing doors. It was promoted by Mazda as a mobile test bed for the company’s advancements in road safety technology. Created as a back-to-basics sports car in the vein of the RX-7 FB, the 1995 RX-01 sadly never made it beyond the concept stage. 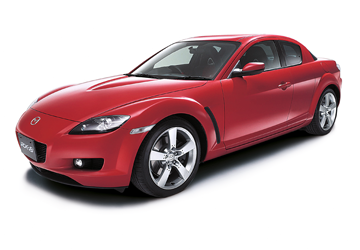 However, its 13B-MSP rotary unit went on to be developed into the RENESIS engine that would power the production RX-8. And its handsome looks definitely got passed along as well. The Furai – meaning ‘sound of the wind’, and every panel looking forged in a wind tunnel – dropped jaws at the 2007 Detroit Motor Show. Boasting a chassis based on Mazda’s C65 Le Mans race car prototype, it was powered by a new-generation 20B 3-rotor Wankel engine that put out a fearsome 450 hp (335 kW). 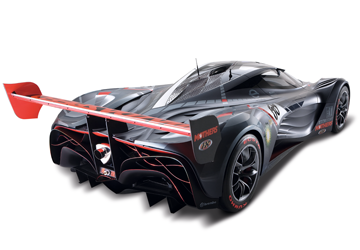 You won’t see one on the road, but the Furai is a star of numerous video games including ‘Gran Turismo’ and ‘Forza Motorsport’.